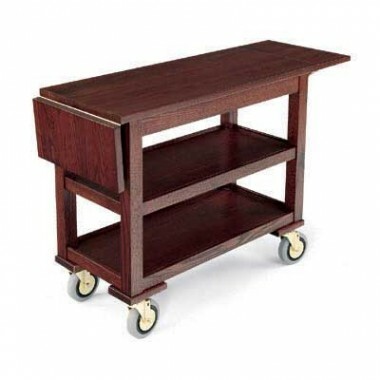 Room service tables and carts offer a variety of functions, from storage to transportation. Critical to the hospitality, food, and beverage industry, room service carts and tables are a user friendly way to move meals from your kitchen to your guests. Keeping food and beverages at the proper temperature, and designed to maximize space and prevent crowding, room service carts are available with hot or cold boxes, folding tops, and locking casters. Choose from a variety of styles and let myBoelter help you enhance the dining experience of your guests.